On this basis, on 15 December 2017, more than 209 people from Sierra Leone, including men, women and children started a hunger strike demonstration, with no 80-cent jobs and no education for the inhumane conditions and against rejection and deportation. 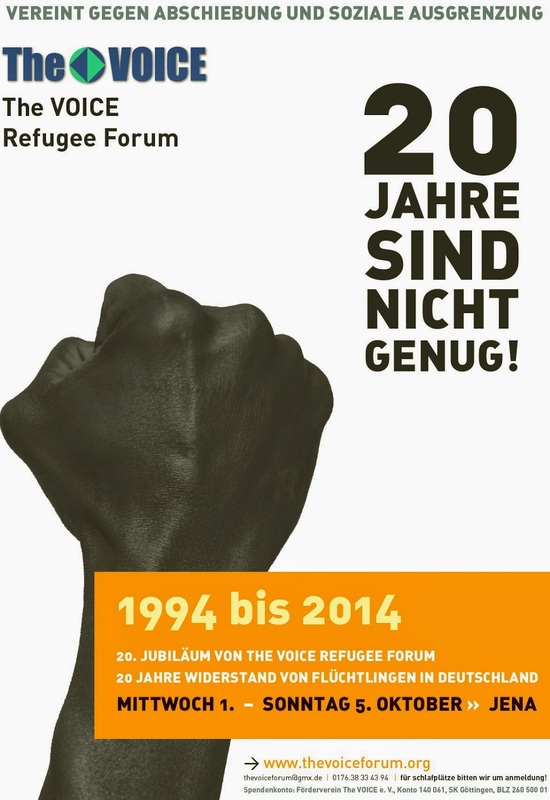 This goes until 20th December 2017 with a protest across Deggendorf, other refugees and immigrants from other Bavarian camps joined. The protests raised objections to the ongoing deportation, lack of good medical care, 24 months in the camp, miserable sanitary conditions and the denial of normal schooling, which ended peacefully. • 24 months stay: We, the refugees, demanded that 24 months stay in transit camps should be abolished by the government. • Invalid card: refugees with an invalid ID card will be re-evaluated and ask for a valid document for the duration of our stay in Germany. • Dublin Provisions: Refugees request to stop deportation under the Dublin provisions. • Formal education: Asylum seekers in Deggendorf demand formal education regardless of their age, so that they can integrate into German society after their stay in the camp. • Work Permit: Refugees get a work permit as soon as they are relocated to community centers so they can take care of themselves. • Medical Assistants: Refugees lack sufficient medication for certain illnesses and urge the government to help cure all illnesses of the refugees. • Children: The asylum seekers with children are moved earlier in community houses for reasons of hygiene and health reasons. • Female genital mutilation: Asylum seekers know that female mutilation is banned in Germany and that those affected are afraid of intimidation in their countries and therefore cannot be dismissed or deported. From today's negotiations with the BAMF, we are optimistic that the authorities are not prepared to deal with the plight and to change the isolated situation of the refugees in Deggendorf. With our understanding of this part, we call for nationwide solidarity for our fight against refugee persecution in Deggendorf and throughout Bavaria. A meeting is scheduled for 13th January, 2018 in Munich. But more information about the venue will be communicated later as it finalizes.